Photosynthesis is the important cellular process by which plants take in energy from the sun, water from the soil, and carbon dioxide (CO2) from the air and convert them into sugar molecules. This process also releases oxygen gas (O2) as a byproduct. The sugar molecules produced during photosynthesis are at the base of our food chain. The process by which plants take the carbon atoms found in CO2 and use them to build sugar molecules is called carbon fixation. While all plants perform photosynthesis, they don’t all do it in quite the same way. 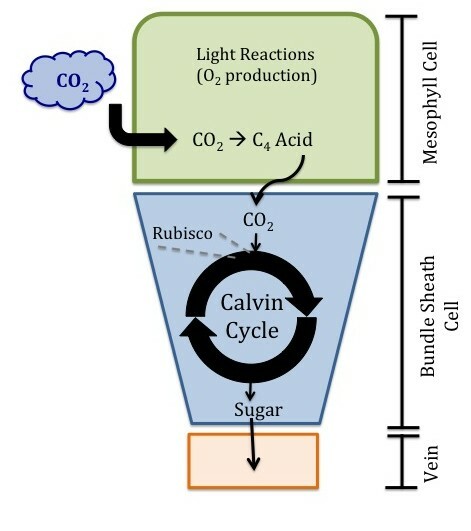 In photosynthesis (a), the enzyme Rubisco captures carbon dioxide in the Calvin Cycle, producing sugar. When Rubsico captures oxygen instead, in photorespiration (b), sugar is not produced. C4 photosynthesis evolved as an efficient method of carbon fixation from C3 photosynthesis (1). 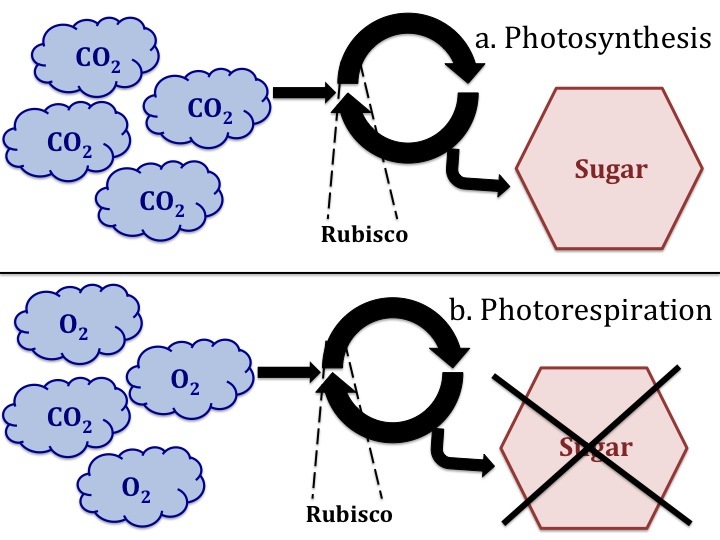 The principle advantage of C4 photosynthesis is that CO2 is concentrated around Rubisco, an enzyme critical to carbon fixation. This effectively eliminates photorespiration (a wasteful process in which Rubisco binds to oxygen gas instead of CO2) and consequentially improves both water and nutrient use efficiency. C4 cells have a modified cellular arrangement known as Kranz anatomy, where carbon dioxide is concentrated in the bundle sheath cells. 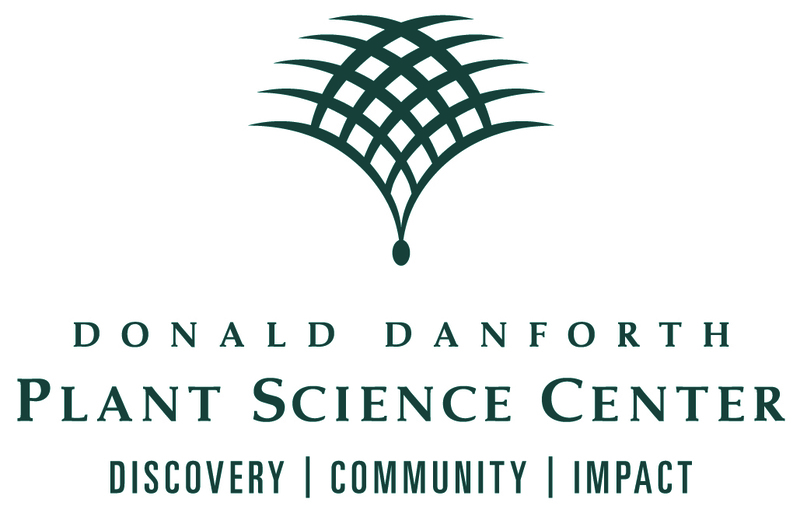 Unlike C3 photosynthesis, where all of the photosynthetic reactions take place in a single cell, C4 photosynthesis is commonly achieved with a modified cellular arrangement known as Kranz anatomy, which divides the reactions into two cell types (Mesophyll and Bundle Sheath cells). This two-cell arrangement allows a carbon concentrating mechanism to be employed, which greatly elevates the CO2 concentration in Bundle Sheath cells (as much as 20 times higher than in Mesophyll cells) (2). This effectively saturates the active site of Rubisco with CO2, greatly reducing photorespiration, which has been estimated to decrease photosynthetic efficiency by 30% (3). These improvements in efficiency make C4 species more productive at building sugar molecules under hot dry conditions than C3 species. 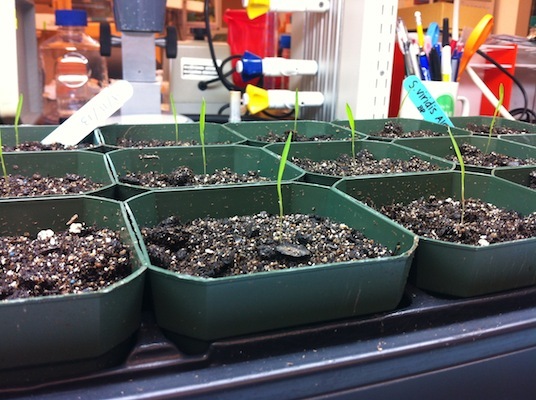 Green millet (Setaria viridis) is an example of a plant that performs C4 photosynthesis. This is yet another reason why it is such a useful model plant to study. 1. R. F. Sage, The evolution of C4 photosynthesis. New Phytol 161, 341 (2004). 2. C. L. Jenkins, R. T. Furbank, M. D. Hatch, Mechanism of c(4) photosynthesis: a model describing the inorganic carbon pool in bundle sheath cells. Plant Physiol 91, 1372 (Dec, 1989). 3. X. G. Zhu, S. P. Long, D. R. Ort, What is the maximum efficiency with which photosynthesis can convert solar energy into biomass? Curr Opin Biotechnol 19, 153 (Apr, 2008).